Is He Cool, or What? This May it’s time for the return of everyone’s favorite lasagna-loving feline with attitude. 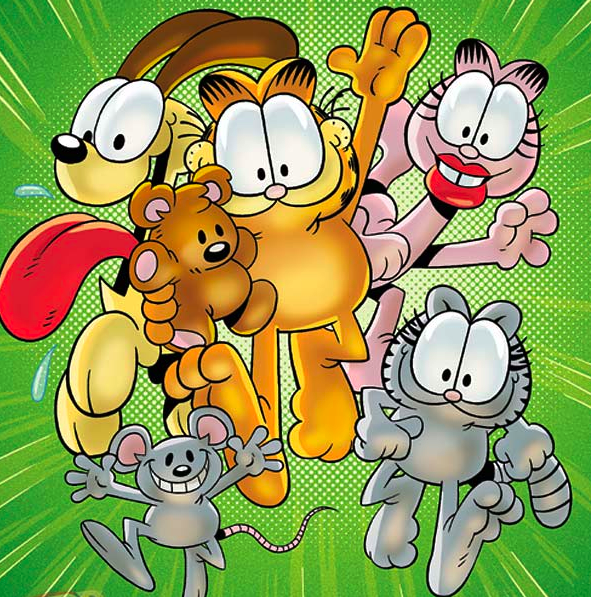 Comic book writer and well-known critic Mark Evanier takes up a pen this time to bring as a new full-color Garfield comic book from Boom! Studios’ Kaboom! imprint. 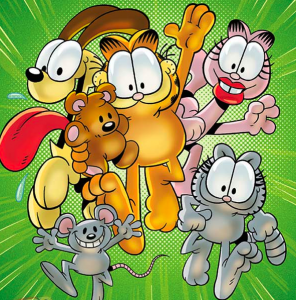 It helps, of course, that he was one of the writers of the Garfield & Friends animated TV series back in the day. This time around the art duties are handled by Garfield comic strip cartoonist Gary Barker. 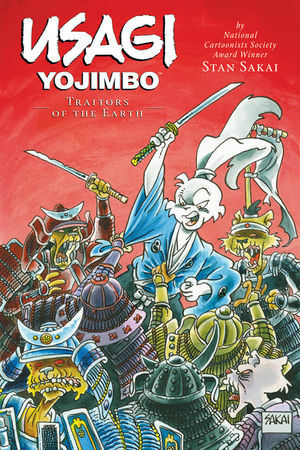 Check out the pre-order information at Kaboom’s web site, which also shows one of the variant covers of the premier issue. Speaking of Ape Entertainment, this May they’ll also be anticipating the latest film in Dreamworks’ Madagascar franchise with a new digest-sized full-color graphic novel. 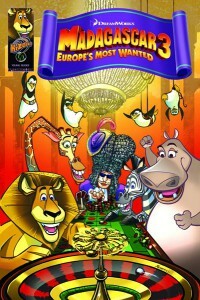 Entitled Madagascar 3: Long Live the King, it’s a prequel to the film itself (Madagascar 3: Europe’s Most Wanted) which is coming out on June 8th. Here’s what Ape has to say: “Follow the adventures of ‘The King of Versailles’ in Monte Carlo, the misadventures of Alex, Marty, Gloria and Melman, and plenty of spy-jinx from everyone’s favorite feathered foursome, The Penguins Of Madagascar! 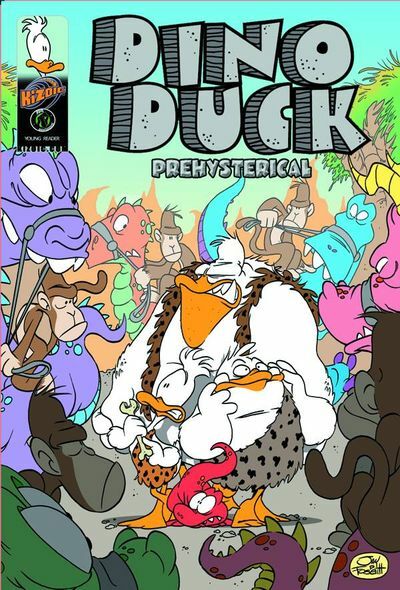 It’s all-ages fun from David Server and Jackson Lanzing (Penguins Of Madagascar) and artist Bob Renzas!” By the way, you can find out more about this and many other new and upcoming releases at Ape Entertainment’s official blog. 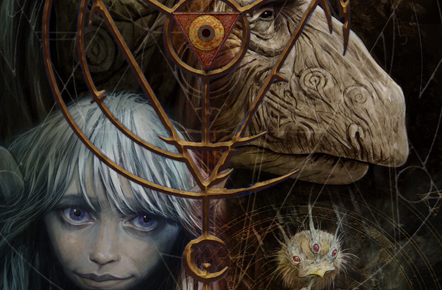 Late in May there’s something definitely new and different coming down the pipe from Ape Entertainment. It’s a full-color softcover graphic novel called Dino Duck: Prehysterical. How best to describe it? Hmm, we better let them do it: “The race up the evolutionary ladder is on! But the only duck in the Duck Tribe who knows it is Dino! With the monkeys watching and copying his every move (and his fellow tribesman ignoring him completely), it’s up to Dino to drag his people out of the stone age and into evolutionary superiority before the monkeys beat him to it!” The man behind it all is writer and artist Jay Fosgitt. 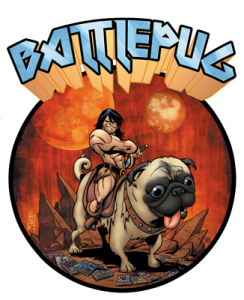 Check it out over at Things from Another World.